The latest addition to the Carl F. Bucherer Manero Flyback collection combines the beauty of precious metal with unabashed retro charm and sophisticated watchmaking technology. The new Flyback Chronograph boasts an 18 k rose gold case that houses a column-wheel mechanism, ensuring both precision and ease of use. The vintage character of the timepiece gets an elegant contemporary twist thanks to black and red accents and a kudu-leather strap. What does it mean to be a free spirit? It’s a question we have asked the entrepreneurs and and adventurers who are featured in this issue of 1888 – from the al fresco chefs who cook on bonfires in some of the world’s most beautiful landscapes to a female tailor who broke the mould in the bastion of tradition that is London’s Savile Row. While the answer varies from person to person, they all agree that free spirits trust their own instincts and forge their own paths. As a partner brand of the Fondation de la Haute Horlogerie (FHH), the Lucerne watch manufacturer will play an active role in supporting the foundation’s future endeavors – promoting expertise, encouraging the exchange of information, pursuing excellence, and protecting tradition in the field of Haute Horlogerie. Carl F. Bucherer CEO Sascha Moeri presented the new Heritage Tourbillon DoublePeripheral Limited Edition at a celebratory event in New York’s vibrant SoHo district. The launch of this timepiece marks one of many highlights in the company’s anniversary year and pays tribute to the rich tradition of the Swiss watch manufacturer from Lucerne. Limited to only 88 watches, the special-edition masterpiece also marks the start of a new product range set to carry on Carl F. Bucherer’s legacy: the Heritage collection. Swiss luxury watch manufacturer Carl F. Bucherer celebrated distinct moments in Hong Kong yesterday. The grand opening of the new monobrand boutique in the city’s vibrant Causeway Bay area was followed by an exclusive gala dinner at the Grand Hyatt. This event also saw the market launch of the Manero Tourbillon DoublePeripheral watch, whose sophisticated movement is a world first. Chairman of the Board of Directors Jörg G. Bucherer, CEO Sascha Moeri, and renowned Chinese movie star and Global Brand Ambassador, Li Bingbing, were in attendance at the exclusive event. With an event at NUO Hotel Beijing, Swiss luxury watch manufacturer Carl F. Bucherer and JD.com, China’s largest retailer, announced their collaboration and the launch of a limited-edition watch available exclusively at JD.com. Sascha Moeri, CEO of Carl F. Bucherer, and Belinda Chen, General Manager of JD Watch, welcomed around 150 media representatives and influencers as guests. Li Bingbing, famous Chinese actress and Global Brand Ambassador for Carl F. Bucherer, also attended the event. The online boutique marks the brand’s first entry into the Chinese e-commerce market. Each year, GaultMillau Switzerland and Swiss luxury watch manufacturer Carl F. Bucherer team up to present the Hotel of the Year award. This year, the legendary Bürgenstock Resort Lake Lucerne has the perfect recipe. In honor of this special award, Carl F. Bucherer presented selected delicacies from the Spices Kitchen & Terrace, one of the resort’s restaurants, and luxurious timepieces in a series of artistic photographs. Swiss Luxury watch manufacturer Carl F. Bucherer co-starred with its Global Brand Ambassador Li Bingbing in the science-fiction movie The Meg. The world debut of the movie was held at the Water Cube in Beijing last night. The famous actress was joined on the red carpet by the movie’s director, Jon Turteltaub, and the stars of the film, including Jason Statham, Winston Chao, Ruby Rose, and Cliff Curtis. Throughout his career, Ricardo Rodríguez relied on his passion, skill, and precision to make a difference out on the field, these same qualities are just as important in the world of watchmaking. Now, Carl F. Bucherer and the Swiss national soccer player have joined forces in a strong partnership. JD.com is China’s leading e-commerce service provider, with a retail infrastructure that allows customers to shop 24/7 and have items delivered across China. This infrastructure and technology is also used by a number of renowned international brands, and the company has established strong partnerships with several Swiss luxury watch manufacturers. 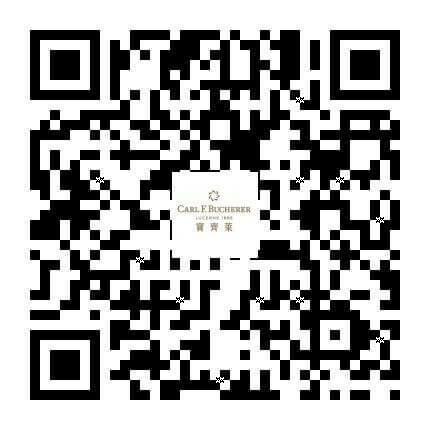 Carl F. Bucherer’s first foray into e-commerce is in collaboration with one of China’s largest watch retailers, Harmony World Watch Centre, which will operate and maintain the Carl F. Bucherer online boutique on JD.com. The partnership between Carl F. Bucherer and the Swiss Football Association (SFA) has existed since 2016 and is set to enjoy a new highlight with the upcoming soccer milestone in Russia. As official timekeeper of the Swiss national soccer team, the Swiss luxury watch manufacturer from Lucerne has issued the players a timepiece selected by the squad itself to mark this historic event: the striking Manero Flyback in rose gold with a black dial and black strap. The retro style of the Manero Flyback family is highlighted even more with this new edition. Inspired by Carl F. Bucherer models from the 1960s and 1970s, the latest Manero Flyback features a bold yet subtle combination of colors in the form of a black dial with silver-colored totalizators. Fine touches of red complete the harmonious contrast. The retro style is continued even throughout the new-style strap. The suede finish of the golden brown kudu-leather strap gives it an extremely natural appearance while ensuring optimum comfort for the wearer.